This set of four mini-prints was originally available exclusively with the Wooster Collective special edition Post No Bills book, together for around $80. 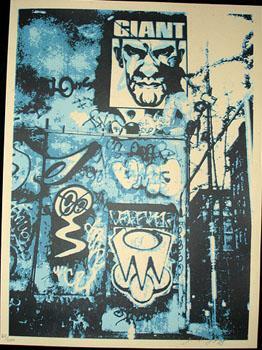 Later on, the set was available alone from Obey Giant's website for $40. It has been stated that the copies sold on the website differ slightly in color.